Symphony i60 is a mid-range budget smartphone that comes from Symphony Mobile. This is a device that price around 7000 BDT. 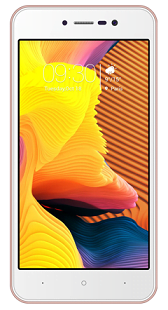 Symphony i60 has 1.3 GHz Quad Core Processor, 2 GB RAM, 16 GB internal Memory, 5 inches IPS Display. This device powered Non-removable Li-ion 2500 mAh and it’s standby up to 272 hours and talk time in 2G 22 Hours. This device price around 7000 BDT.